Originally published under the title "Saudi Arabia Makes a Strategic Miscalculation." Saudi Arabia is embroiled in a war in Yemen that it can't win. Saudi Arabia seems to have bitten off more than it can chew in Yemen. On March 26, 2015, the kingdom launched Operation Decisive Storm, a broad Arab-Islamic initiative ostensibly aimed at reinstating the government of Yemeni President Abd Rabboh Mansour Hadi, whom insurgents had forced from the capital, Sanaa, a month earlier. More than two and a half years on, Saudi Arabia is no closer to its goal, embroiled in a war that it can't win. How did the country wind up making such a strategic blunder? Going into the conflict, its leaders were well aware of the steep odds against the operation's success — of Yemen's unconquerable terrain and intractable tribal machinations. The Saudis tend to equivocate in their explanations of what drove them to intervene in the war-torn country in the first place. But a look at the kingdom's history and founding ideology offers insight into Riyadh's dilemma in Yemen. Saudi Arabia's history is one of bloodshed. The alliance that Muhammad ibn Abd al-Wahhab formed in the mid-18th century with the founder of the first Saudi state, Muhammad ibn Saud, established the kingdom's policy to pursue its objectives by force rather than diplomacy. By the end of the 1700s, Wahhab's followers would put that policy into action. They invaded Kuwait in 1793, laid siege to Ras al-Khaima (now part of the United Arab Emirates) in 1799, entered Bahrain in 1801, attacked Karbala, in modern-day Iraq, in 1802, and briefly took Basra and Jeddah the next year. In 1818, the Egyptian army destroyed the Saudi state, but the country emerged in its modern incarnation at the turn of the 20th century. And like its predecessors (including the second Saudi state, which lasted from 1824 to 1891), the new kingdom had a penchant for war. The Saudis brought the Hashemite Kingdom of Hejaz to its demise in the 1920s through a series of gruesome massacres, and the next decade, they took on Yemen. During the war of 1934, Saudi Arabia seized Asir, Jizan and Najran from its southwestern neighbor, driving a permanent wedge between the two countries. Abdulaziz ibn Saud, founder of the modern Saudi state, reportedly told his sons on his deathbed nearly 20 years later that to maintain their country's strength, they must keep Yemen weak. 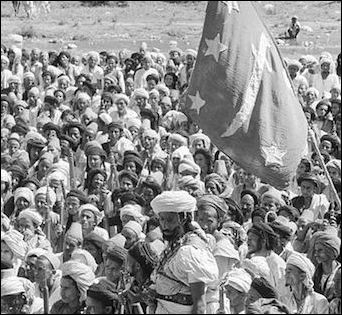 When a group of revolutionaries deposed Yemen's monarch in 1962, a civil war broke out between Yemeni royalists and advocates of a republican system of government. 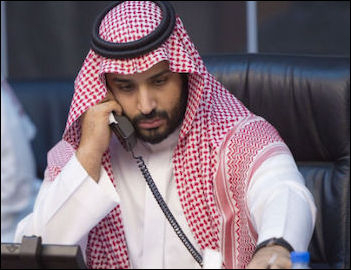 Saudi Arabia's leaders, worried that the political upheaval could seep into their territory, sided with the royalists in the eight-year conflict. Saudi-backed royalists in Yemen, 1962. After the two sides reached a compromise to end the war, Riyadh's military involvement in Yemen gave way to a subtler intervention. Saudi Arabia worked to buy influence with the country's various tribes and in the 1990s threw its weight behind Islah, an Islamist party with ties to the Muslim Brotherhood, to counter President Ali Abdullah Saleh's General People's Congress. Around the same time, the Houthi movement emerged among Yemen's Zaidi Shiite population, preaching peace, tolerance and cultural openness. The movement had evolved into an insurgency by the early 2000s, despite its pacifist claims, and in November 2009, the Houthis seized a mountainous section of Saudi Arabia's Jizan province, near the border. From Saudi Arabia's perspective, the incursion — retaliation against Riyadh for allegedly allowing Yemeni army units onto Saudi territory to carry out strikes against the Houthis — violated the tacit conditions of the truce it made with Yemen after the 1934 war. And so, it struck back, launching its first military offensive in nearly two decades. Though the brief conflict highlighted the limitations of their military capabilities, the Saudis nevertheless felt certain that a full-blown war was inevitable. The alliance between Muhammad ibn Abd al-Wahhab and the founder of the first Saudi state established the kingdom's policy to pursue its objectives by force. 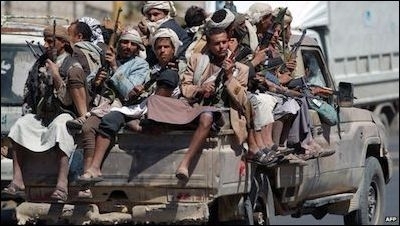 Houthi fighters in Sanaa, shortly after their capture of the Yemeni capital in September 2014. The Yemeni Revolution of 2011 laid the groundwork for the next clash. The uprising, during which Saleh stepped down from power, filled many Yemenis with hope that their country would establish a modern, independent political system. But the transition fell short of the population's expectations: The new president, Hadi, encountered numerous challenges to his rule, and Yemen soon descended into chaos. A few years later in September 2014, the Houthis took control of Sanaa, and in February 2015, they unveiled a constitutional declaration to transform the country's political system. For the Saudi government — which views the monarchy's continuity as the key to the kingdom's security — the Houthis' revolution hit too close to home. Riyadh worried that the Houthi takeover in Sanaa would galvanize Saudi Arabia's Zaidi and Ismaili Shiite population near the Yemeni border. In addition, the Houthis' long-standing ties with Iran heightened the kingdom's concerns over Tehran's expanding influence in the region. 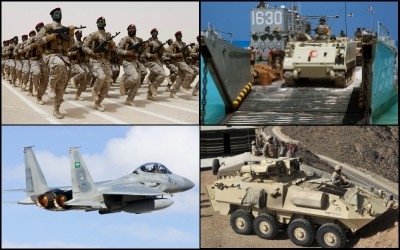 Saudi Arabia and its coalition partners, including the United Arab Emirates, Qatar, Kuwait, Bahrain, Egypt, Sudan, Morocco, Jordan and Pakistan, began their operation against the Houthis the following month. If air power could achieve spectacular victories in the Six-Day War of 1967 and in Desert Storm in 1991, the Saudis reasoned, an air campaign would work in Yemen, as well. Compared with the coalition's leader, however, its other members had less at stake in Yemen. Most of Saudi Arabia's partners, in fact, were reluctant to join the operation at all. Bahrain, Kuwait, Jordan and Morocco limited their involvement in the war against the Houthis. Egypt and Pakistan refused to send ground troops to the fight. Sudan, by contrast, sent thousands of troops to Yemen, if only so that Riyadh would intercede on its behalf and persuade Washington to suspend the sanctions against it. Saudi Arabia and the United Arab Emirates were the only states in the coalition invested in the war. But even they had different reasons for entering the conflict. Saudi Arabia's aims for Operation Decisive Storm and its successor, Operation Restoring Hope, were to crush the Houthis, sever their ties to Iran and secure the Saudi-Yemeni border in Jizan and Najran. The United Arab Emirates, on the other hand, had its own priorities in mind. Abu Dhabi, unlike Riyadh, isn't interested in driving the Houthis out of the Yemeni capital. Emirati leaders fear that doing so could give Islah — which they view as a threat to their own stability — a place in Yemen's political future. After making a perfunctory bid to train Yemeni troops for an offensive to retake Sanaa, Emirati forces turned their attention instead to southern Yemen. There, they worked to secure control of the Arabian coast and the strategic Bab al-Mandab Strait, a critical conduit for international trade. The United Arab Emirates is also keen on preventing the Yemeni port of Aden from competing with the Jebel Ali port, near Dubai. Because of their diverging interests in Yemen, Saudi Arabia and the United Arab Emirates have differing levels of commitment to the conflict, too. Abu Dhabi's crown prince announced on Twitter in June 2016 that his country would end its military involvement in Yemen, though it would continue "monitoring political arrangements" and "empowering Yemenis in liberated areas." Saudi troops, meanwhile, have continued their fight in the state, pursuing goals that seem more distant by the day. Saudi Defense Minister Mohammed bin Salman knows the kingdom will probably never defeat the Houthis in Yemen. Saleh tried and failed to rout the movement six times between 2004 and 2010. And despite adamant declarations to the contrary, bin Salman wants to end Operation Restoring Hope. The young crown prince already has undertaken unprecedented reforms to modernize the Saudi economy, empower the country's women, and combat corruption and nepotism. But he has yet to overcome the legacy of blood and iron on which Saudi Arabia was built.